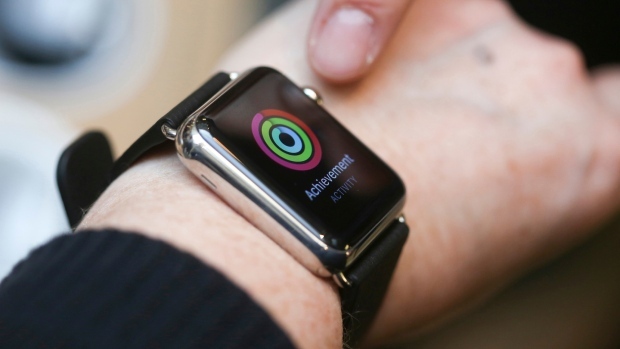 Apple Inc.’s (AAPL.O) health-care ambitions go beyond wearables like the Apple Watch, with the company poised to soon emerge as a leader in consumer health, according to Morgan Stanley. The company’s health-care market opportunity ranges from at least US$15 billion to a whopping US$313 billion in revenue by 2027, according to estimates from a team of 14 analysts. The wide difference is appropriate given the early opportunity, they said. While competitors like Alphabet Inc.’s (GOOGL.O) Google and Amazon.com Inc. (AMZN.O) may have greater artificial intelligence capabilities, Apple’s vast user base is a clear advantage that cannot be underestimated, the analysts added. Apple had total revenue of US$265.6 billion in 2018, with the iPhone accounting for over 60 per cent of that, according to data compiled by Bloomberg.